Elegant and stunning designs including bridal flowers, venue decoration, ceremony arrangements, table décor, buttonholes and corsages. We love weddings and would like to be part of your wedding planning. 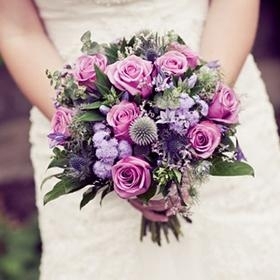 Please get in touch and come and meet our wedding team with a free wedding flowers consultation. Our Shop is situated in Shipley overlooking Saltaire World Heritage Site with beautiful views of the surrounding countryside. Come and relax in our consultation area and enjoy a cup of tea whilst browsing our wedding portfolio and wedding books. Click here to book a consultation via our online wedding enquiry. At your initial wedding consultation we like to talk to you about the flowers and designs you like. Please bring with you a sample of your dress fabric (if you have it) and details of the wedding venue (photographs if possible), photos of any designs you like and pinterest login (if you have one). Our experienced team will advise you on the latest trends and what designs fit best with the different styles of dresses. 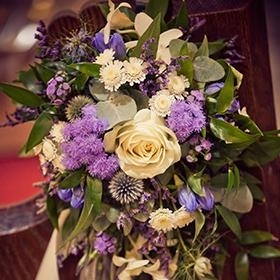 From your initial consultation through to your wedding day we work closely with you to tailor your wedding flowers to your requirements to ensure you have the most amazing day.